Our prime red wine, is made with equal shares of Cabernet Franc and Merlot from a single vineyard, where 3 continental plates merge, in clay-limestone soil. fLuR 2014 has 14.5% alcohol in volume, and was aged 16 months mostly in french oak demi-muids. It was rated 91 points and won a silver medal at the 2018 International Wine Challenge in London. Made exclusively with Cinsault, the oldest planted varietal in Lebanon and possibly the best adapted to our weather conditions. This is a delightfully surprising wine with an unexpected combination of richness, smoothness and lightness. This is the result of 30 year-old vines planted at 1400m. A wine for any mood and any food. Pure pleasure is its purpose. Launched at 2018 Vinifest where it took tasters by storm. 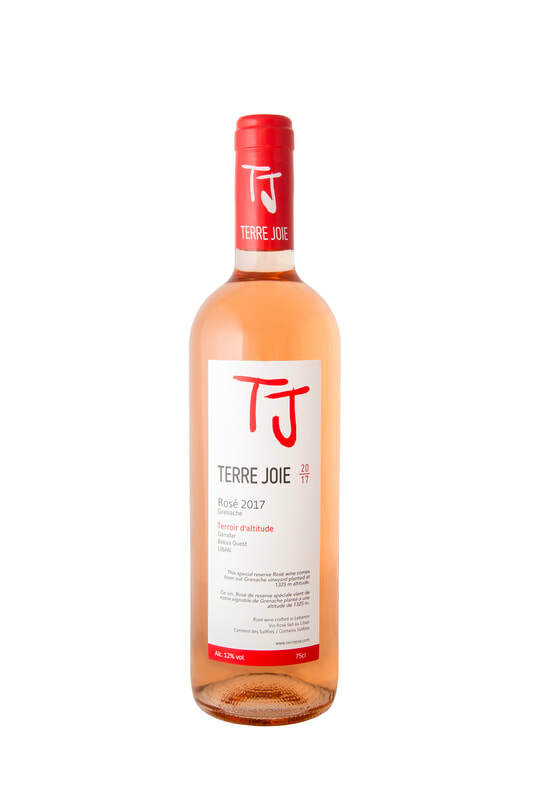 Probably the only 100% Grenache Rosé in Lebanon. Single vineyard at 1325m altitude. A combination of smoothness and richness, each at the optimal level to maximise Rosé drinking enjoyment at any time. Placed a close second in a blind tasting of 12 Lebanese Rosés. Alc. 12%; vinified totally by maceration; no oaking.